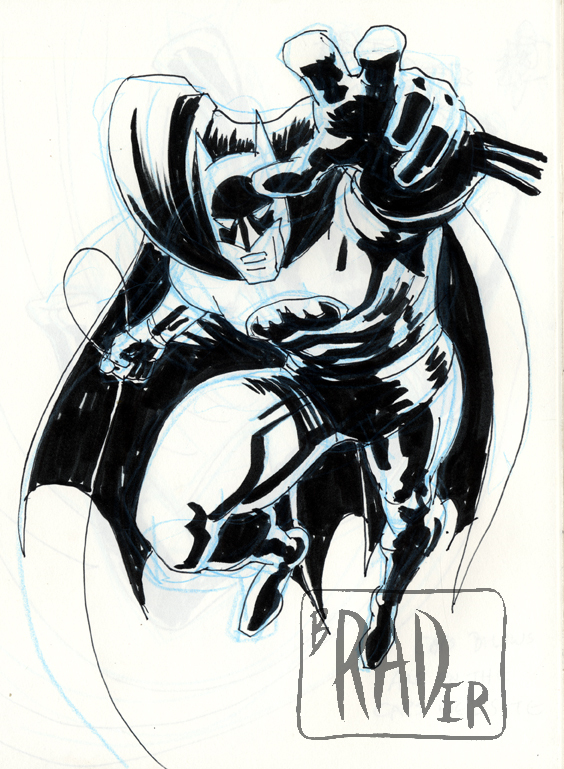 Batman, done in the style of Jack Kirby sort of. As much as I could without actually having a Kirby drawing in front of me while I was working. It doesn't have any of the characteristic Kirby muscle-squiggles; the anatomical forms aren't as abstracted as Kirby. I regret that this is as close as I can come without swiping; Kirby's abstractions are alien to me. All I can do is push the size relationships, and, when it seems appropriate, distort the forms.